It is a very central apartment, close to everything, good road access, quiet, reinforced door, supermarkets, bars and commerce around. 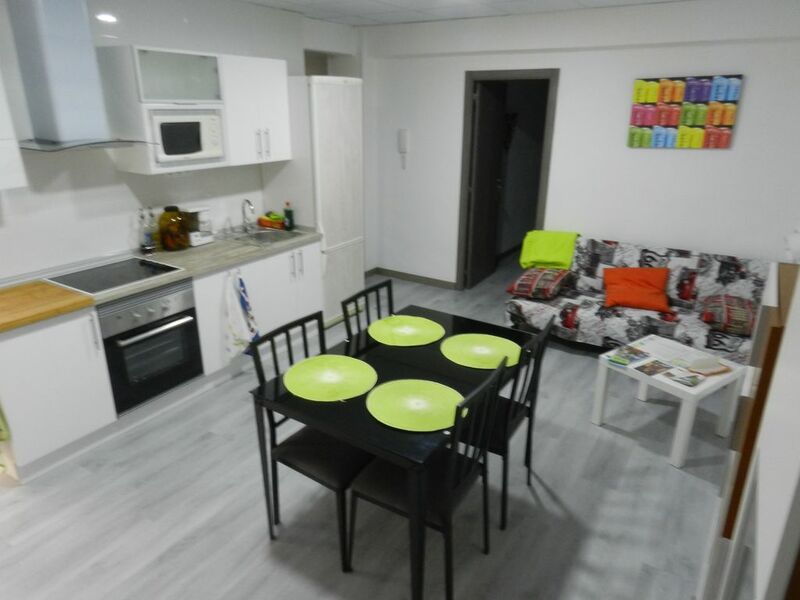 The apartment has 3 bedrooms, 1 beds of 1'35 and sofa bed of 1 meter, TV, air conditioning and heating. All rooms with Satellite TV, WiFi and wired, especially for business. Washing machine, hairdryer, iron, fully equipped kitchen, towels and linens. Less than 1 Km Laurel Street, wine. Suficiente para pasar un fin de semana. Céntrica y moderna. Todo muy limpio y cómodo, es tal cual sale en las fotos. El propietario muy amable! Todo correcto, amplios y comodos.